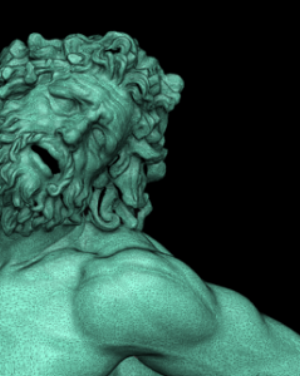 The Virtual World Heritage Laboratory (VWHL), based in in the Indiana University School of Informatics and Computing, in collaboration with partners at the Politecnico di Milano and the University of Florence will undertake the 3D digitization of the complete collection of Greek and Roman sculpture in the Uffizi, Pitti Palace, and Boboli Gardens on behalf of the Gallerie degli Uffizi. Totaling some 1,250 works of art, it is the third largest collection of its kind in an Italian state museum. From 2007 to 2012 The Virtual World Heritage Laboratory created a 3D digital model of Hadrian’s Villa, a World Heritage site located in Tivoli (Italy), as it appeared toward the end of the lifetime of the emperor Hadrian (AD 76-138). The Atzompa Project is a collaboration between INAH and the Virtual World Heritage Laboratory (VWHL). The primary focus of the project is the creation of 3d models at various scales of significant cultural heritage artifacts, monuments, and the entire site. INAH plans to use these models as aids to the scientific analysis of the site and as assets for public outreach and education. IDIA Lab virtual celestial simulator and 3D interpretation of the Meridian of August in ancient Rome. Project commissioned by the Virtual World Heritage Laboratory at Indiana University, directed by Bernard Frischer.